Yall know I’m a Small Town Kid, #hicoilikeo and all that jazz. 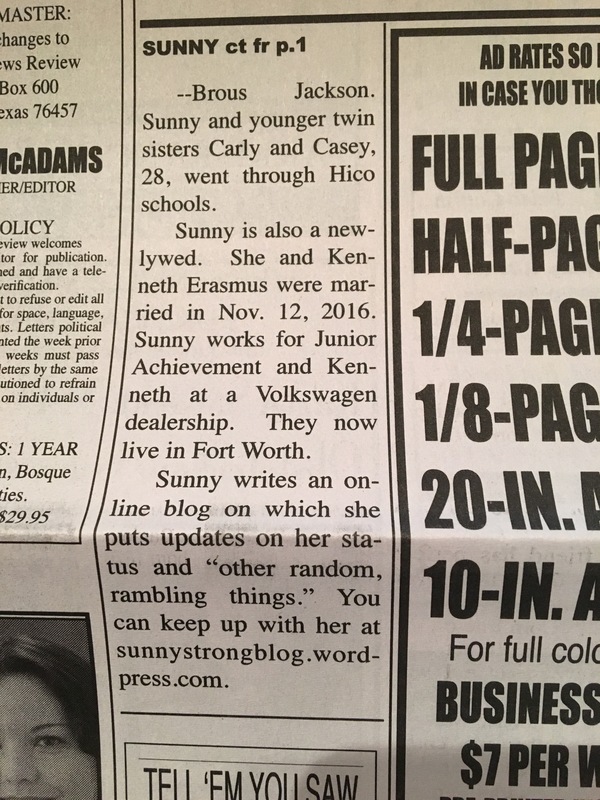 So when the Jerry McAdams of the Hico News Review calls to verify the details, you answer – or in my case, call him back. To no ones surprise, well maybe Jerrys, my mama didn’t know how old I was, or when we got married or when I was diagnosed so I corrected her guesses and the final product is awesome and accurate. Thanks Jerry for the front page publicity and for helping us raise awareness for ALS. There was a time that being in the paper was a weekly occurrence, and this feature is as exciting today as it was every single time while growing up in Hico. Someone asked Kenneth if he realizes that he married up? 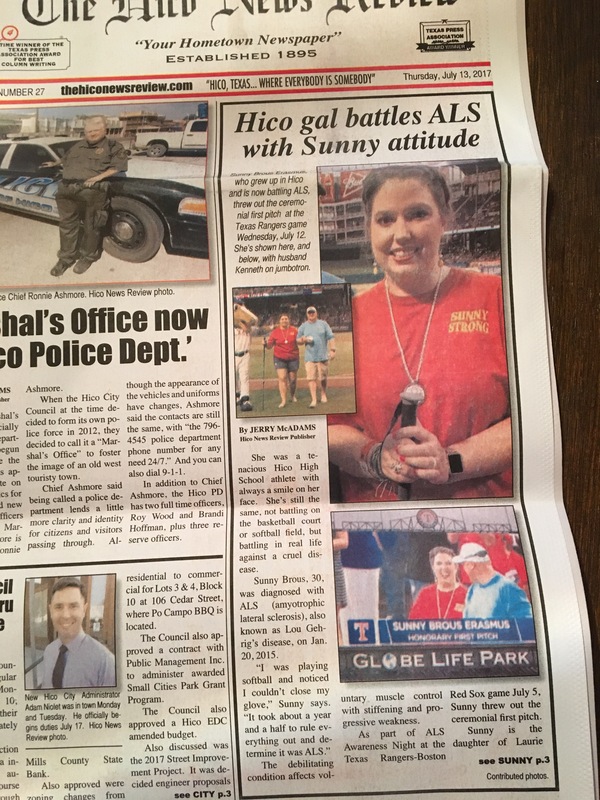 I don’t know about that, but he sure looks good in that Hico limelight.